Published on February 5, 2017 in Uncategorized. Closed Tags: 2017, access to asylum, afghan, Elliniko Camp, greece, hunger strike, protest, reception conditions, refugee, struggles and resistance. 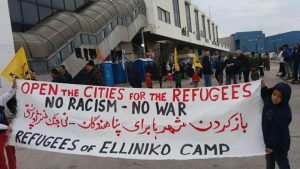 On 5th February 2017, most of the adults among the 711 refugees residing in a state-run Camp in the former Athens National Airport (Camp Elliniko II), in the majority coming from Afghanistan, started a hunger strike to protest against their degrading living conditions demanding for their transfer to homes, papers and freedom of movement for all. As reported by one of the refugees, it is very likely that residents of the two other camps in Elliniko (the nearby Olympic baseball and a hockey stadiums) might join in the protest tomorrow. 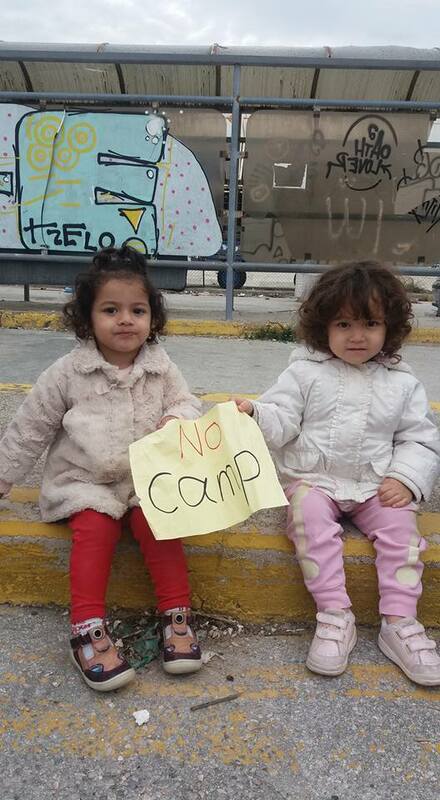 Among the 1,600 refugees living in the three camps of Elliniko there are some who are there already since one year. Elliniko Camp was opened already back in autoumn 2015, in a period where thousands were arriving to Greece and many stayed homeless in the parks and squares of Athens. Planned as a temporary solution to ‘clear’ the capitals’ streets from the many homeless and repeatedly announced to be closed as belonging to one of the most infamous camps in Greece, it still stayed open until today, but always portrayed as ‘provisory’ under the UNHCR-category ‘informal site’.